To add variety to conversation with icq clients, many users use sets of emoticons. The default in this kind of programs are the standard sets that quickly lost interest, and the new emoticons are easy to download and install. To start your icq client, double-click the shortcut on the desktop with the left mouse button. To check the smileys that are installed in the messaging program must be in main program window click on any row in the list of contacts for the appearance of the message window. Click on the image of the smiley in the lower pane of the window to display all the smilies. Click it — it should appear in the posting box. Also insert a smiley in the message you can use universal codes. For example, to display a simple smiling smiley enough to type on the keyboard a combination of symbols: ":-)", "=))" or ":)" (type without quotes). Click the Space bar or Enter to see the graphical display code is entered. 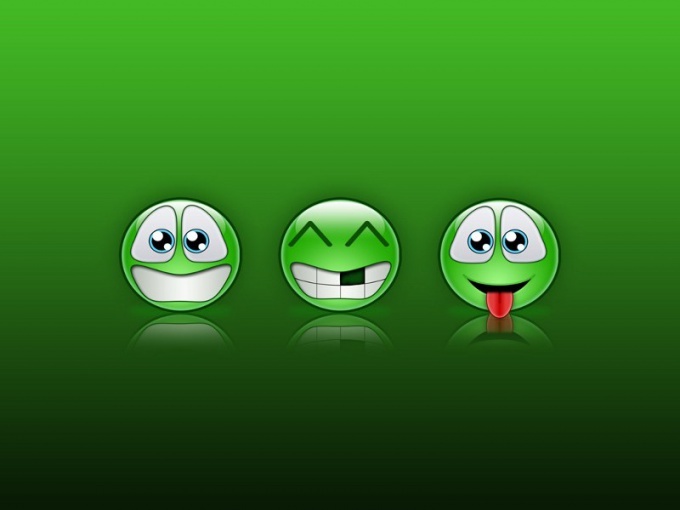 To add more emoticons you need to download them, for example, via the following link http://www.kolobok.us/request.php?1. Clicking this link you will copy the files to your computer, which weight around 14 MB. There is a large number of smiles, of which you will used not all. Unpack the archive and select individual smiles. In the message box click on image smiley, then click the "Manage emoticons". Click on "Add emoticons" and specify the directory where are the files you have selected smileys. Click "OK" to download them. In older versions of the program, namely ICQ5, this was not possible, but there is an alternative way of adding smileys. Close the program if you haven't already. Navigate to the program folder and locate the directory in the directory of Animated Smiles. Delete the contents of the directory are Animated, open it and copy the new smileys. Run the program to see the updated package of smiles.